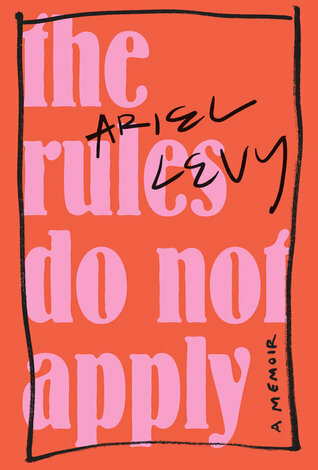 Much-hyped memoir of Ariel Levy, a NYC-based nonfiction writer who, like most of us gals, has been inundated with the feminist mantra that she can have it all–a happy marriage, a career, a family, success. By her late thirties she’s married and accomplished most of what she wants career-wise, but remains childless. Then surprisingly, she finds herself pregnant at 38. However, on a trip to Mongolia in her second trimester, she loses her baby in a devastating miscarriage. Later on when she returns home, she loses her marriage as well. The writing here is good but I admit that my review is tainted because I didn’t care too much for Ms. Levy. For the insightful feminist that she claims to be, she came off as superficial and just plain selfish in the last half of the book. She readily admits that she cheated during her marriage, yet she’s awfully cold and unforgiving toward her wife, who she discovers was lying to conceal her alcoholism. She also writes with disdain toward people with money, but reminds us several times that her ‘baby daddy’ (her words, btw) is a wealthy man who takes care of her. And Levy’s final meditation behind the whole “you can have it all” premise of the book? We don’t always get what we want, and we’re all going to die someday. Isn’t this something you learn as a child? Levy is damn near 40 years old when she finally figures out that the Universe is no respecter of persons and she cannot die with all the toys that she wants. I am certainly sorry for the loss of her baby, but her sense of entitlement to a illusory world of privilege is one that I simply could not relate to. I had not heard of the author before this book. Honestly, I don’t think I would be upset if I did not hear from her again after this. The story was all over the place and as I said before, the writing was good but there are better memoirs out there. Read at your own risk. Such a great review, well said! I was so disappointed in this book. I thought her writing for the most part was great, but the story she was telling…yeesh. It was cringeworthy at times. I felt like I was a little in the minority about not being in love with this book, it made tons of year’s best lists…was wondering if I’d read the same book as everyone else, really. Previous Previous post: The Year of the Stone.